What is this little sauce made of? Pumpkin Spice and Everything Nice! 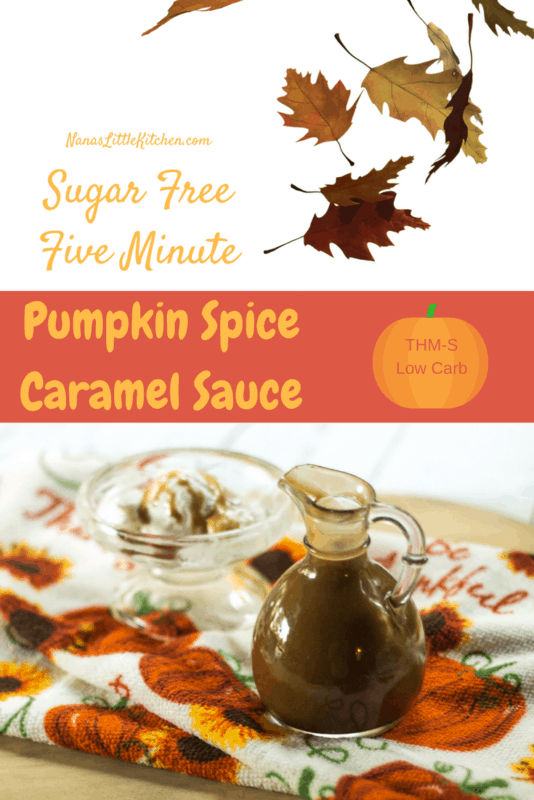 This recipe blends the convenience and intense flavor of Brooke’s Five Minute Caramel Sauce with the wonderful fall flavors of Pumpkin Spice powdered seasoning blend for an exciting new combination that you will want to revisit again and again. And, because it’s low carb and sugar-free, you can! 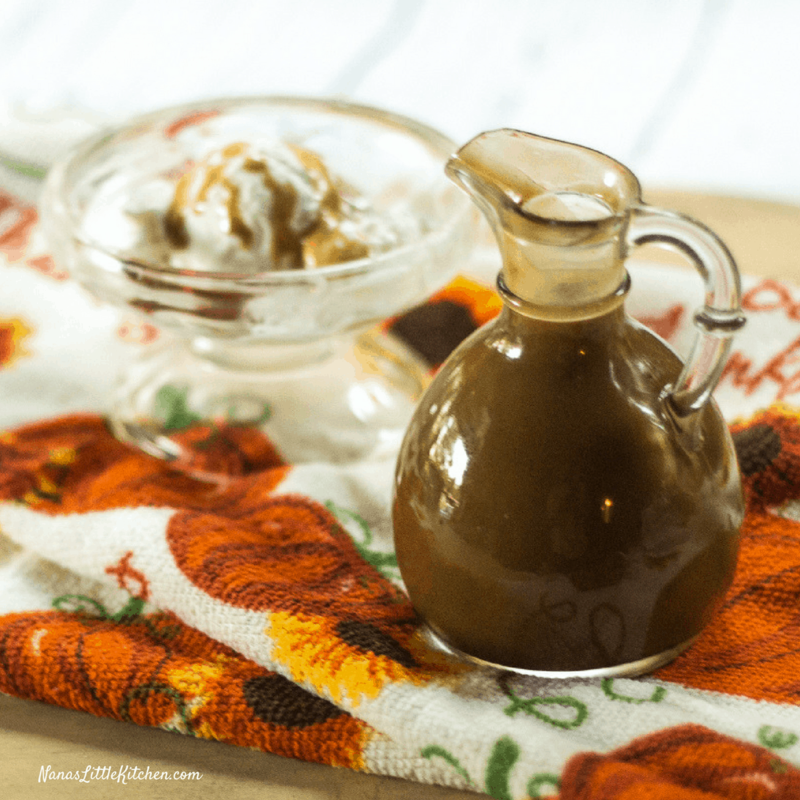 Five Minute Pumpkin Spice Caramel Sauce is a dessert maker. Pour it over your favorite low carb ice cream, or drizzle it over your muffins. The skies the limit for a quick and indescribably delicious taste of pumpkin spice this fall. This wonderful sauce cooks up in a snap and you can store it away in the fridge, but take care when reheating by slowly warming it, if using the microwave think seconds not minutes. The addition of the tiny amount of xanthan gum to this sauce keeps it from separating and causes it to thicken up to a firm state in the fridge but unlike a boiled sauce it does not turn crispy. Just reheat gently and stop the warming process at the thickness you desire. Stir and enjoy a flavor somewhere between caramel apples and pumpkin pie….Oh MY! Baking and cooking season alert! The few minutes you take now to check your seasonings could save you a lot of headache, not to mention heartache, later. 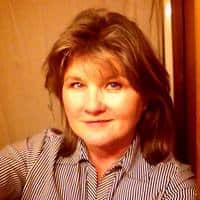 If you’re a seasoned baker your seasonings might be rotated regularly but otherwise, check now for the spices that might have been sitting up for months or years and deteriorating in quality. They won’t deliver the punch that you’re expecting and that these recipes were formulated to receive. Melt butter in a microwave-safe bowl that is large enough to allow this to bubble up and not over. Remove from the microwave and add in the sweetener, molasses, and cream. Stir well. Microwave on high for 2 mins. Remove from the microwave and stir then microwave on high for another 2 mins. It will be bubbly and turn a caramel color. Stir in the vanilla, pumpkin spice, salt and optional xanthan. As it cools it will thicken.